There have been 3 times in my Tampa life where I truly loved living in Ybor City. Tonight was one of them. The other two nights were the nights we stumbled home from Guavaween and St. Patricks Day Parade. I love living in Ybor on normal nights, these are the three nights I will brag about. Usually when one learns we live in Ybor, we get questionable looks regarding safety or people think we are bar hoppers - neither of the two reflect our lives. I feel safer in Ybor than other areas we have house shopped in Tampa. When I heard about Richards Run For Life 5K, we signed up right away. This race started across the street from our condo and we could walk there easily without worrying about parking. After a few odd looks from picking up our passes dressed in work clothing, Gabe grabbed a power nap, we got geared up and headed towards the start line. I will be honest, there were way more people than I expected. 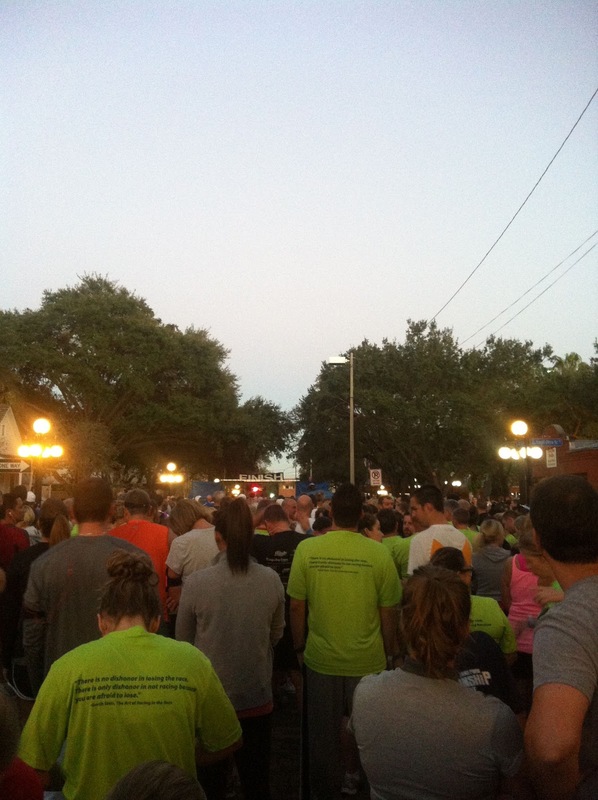 As a girl who started running with runDisney and my only other races being in Volusia County, when I saw 2,000 people in my Ybor City, I was shocked. If you read my preview of Richards Run For Life 5K, I complained about the course. It's so similar to what we run 3 times a week and I thought I preferred our course. I take it back. We had a beautiful view of Downtown Tampa vs. the view of Channelside we usually take. We will be changing our course from here forward. 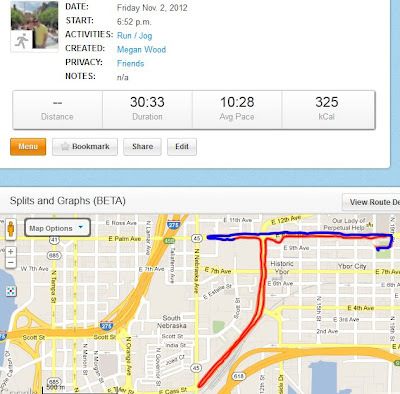 We learned quickly that this route can add an additional mile to our normal course with a beautiful view of Tampa Skyline. One thought came to mind many times during this 5K - I wish I had road closures all the time during my runs. I didn't have to worry about Ybor street traffic. In fact, a few times out of habit, we slowed down or sped up for traffic lights which we normally encounter on our runs. 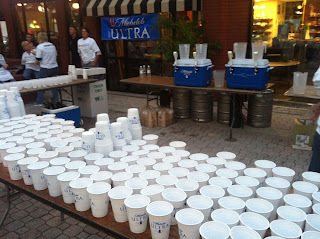 After crossing the finish line, we headed straight to the beer garden. THANK YOU Michelob Ultra. Tonight, I ran for beer. I also learned I really like beer after a race.....who would have ever known (and I wish I had this knowledge at Tower of Terror 10 miler). Most importantly, besides hitting a "official" 5K PR, I ended tonight with my favorite salad on earth. 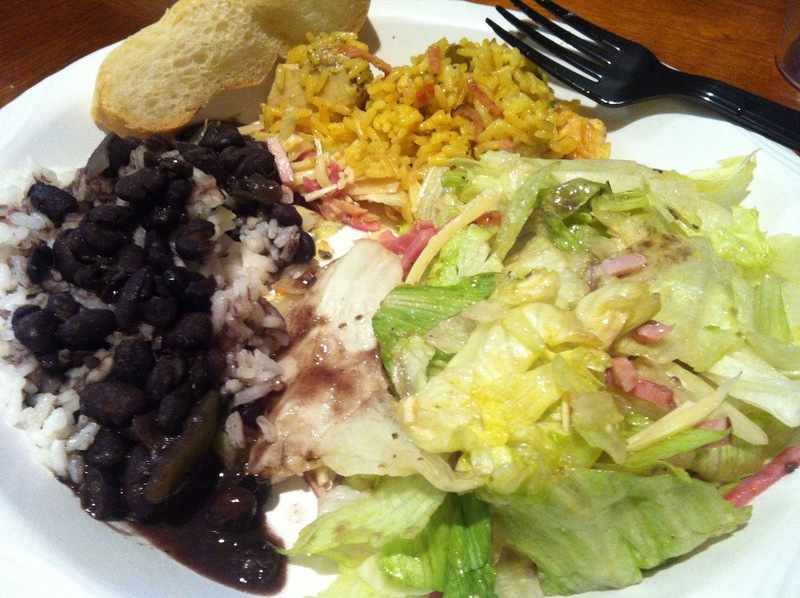 Columbia's 1905 Salad. I asked for a second helping as it was the only item I wanted....I was encouraged to try the other dishes, black beans & rice and chicken & rice. Thank goodness I live down the street from the Columbia as I really enjoyed this post race meal and now know where I want to eat after a long run. 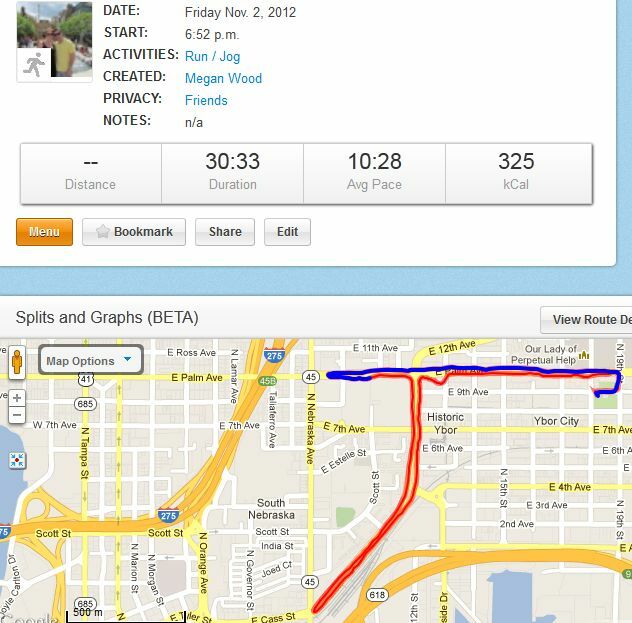 All in all - I would suggest this 5K to any Tampa resident, or those who like to travel to races. It was very well organized, very well put together. While the lines for food and beverages were a little long, they went fast. I was especially happy to be eating the above dish on at my dining room table, with my Mich Ultra in hand. We tried to find a seat for 5 minutes, then looked up and saw our condo - duh. We brought our food home and ate while watching a movie. Much better than pavement sitting. I love living in Ybor City. Perfect ending to a perfect race. I didn't expect this and couldn't be happier we decided to do this race. Honestly, it was the best race I have run to date...P.S., I want more 1905 salad. I've heard that beer is great post-run! That's why there are so many beer races. But I haven't done one yet, nor can I vouch for the post-race beer... Congrats on your PR!